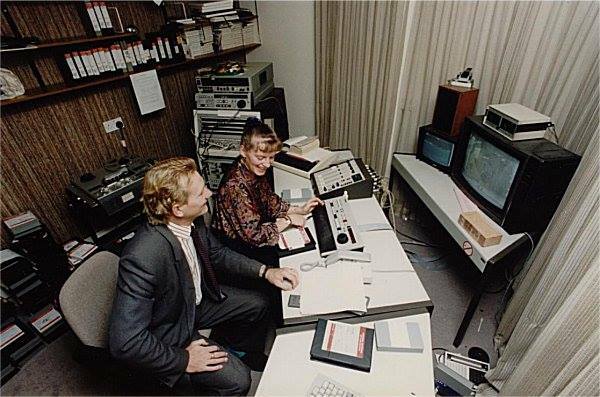 This photo shows the editing of regional news in 1990. It looks like a rather makeshift edit suite. This photograph was originally posted on the Pebble Mill Engineers’ Facebook page. Brian Charles: ‘Makeshift?!? That was state of the art kit at the time – Edit Suite 2 I think.